A. 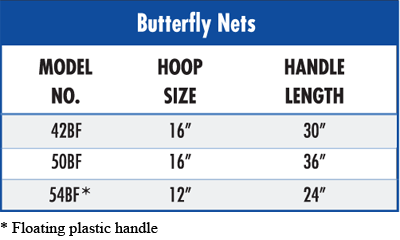 Floating Butterfly Net – 24″ handle with a 12″ hoop. B. Floating Creature and Bait Net – 18″ handle with a 11″x9″ hoop. 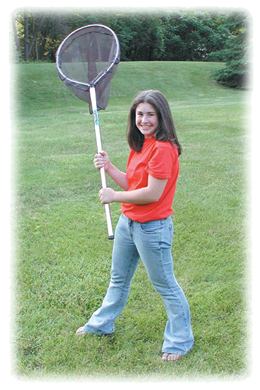 C. Floating Bait and Shell Net – 10″ handle with a 8″x6″ hoop. Aluminum hoop and handle with nylon netting.